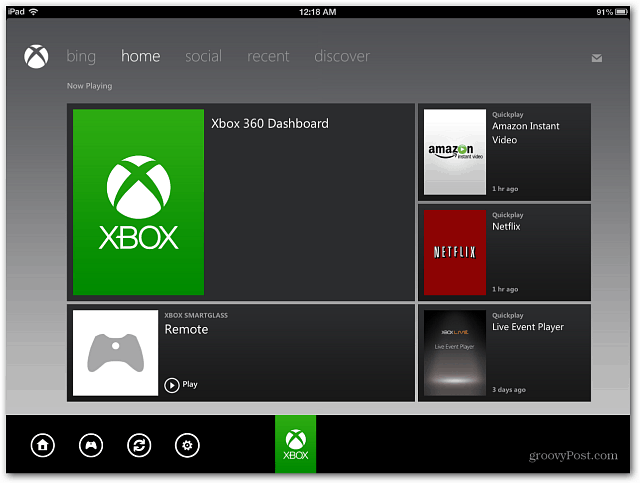 Microsoft released its Xbox SmartGlass app for iOS and Android. 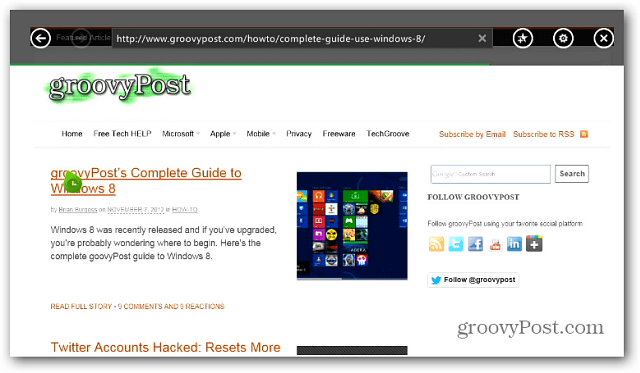 Like on Windows 8, it lets you control your console from an iPad, iPhone or Android Device. 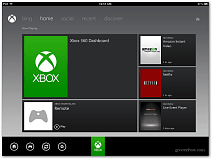 Windows 8 has a new feature that lets you control your Xbox 360 from your PC or tablet with the SmartGlass App. 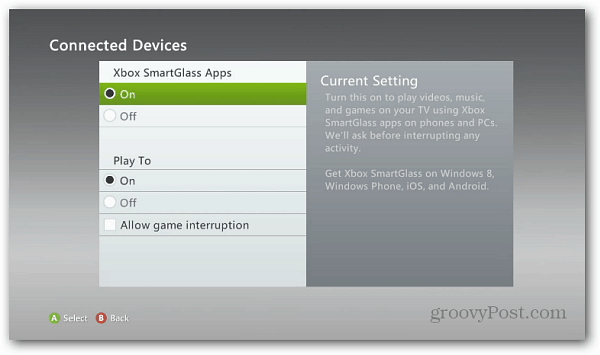 Previously I showed you how to use the SmartGlass app on Windows 8 to stream music to the console. Recently it was released for iOS and Android devices. Here’s a look at how to get it set up. Note: At the time of this writing, the SmartGlass app only works on devices running Android 4.0 Ice Cream Sandwich. I tried to get it on my Nexus 7 — running Jelly Bean 4.1.2 — but it’s not compatible with it either. So just keep in mind that your mileage will vary depending on the version of Android you’re running. It does work with Apple devices running iOS 5 and higher. However, it’s not optimized for the iPhone 5’s 4-inch display. You’ll also need an Xbox Live membership. 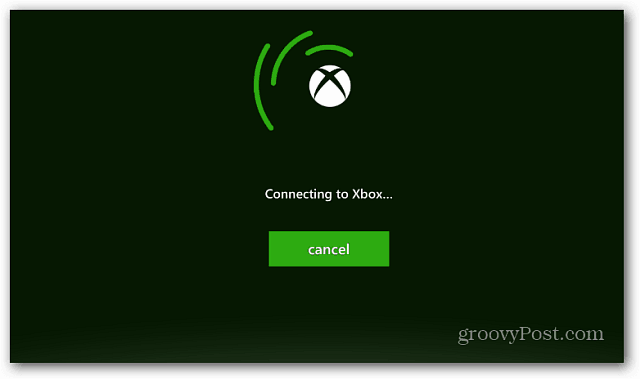 On your console, go to Settings >> System >> Console Settings >> Connected Devices and make sure Xbox SmartGlass Apps is set to On. Power on your console and then launch the app on your device. 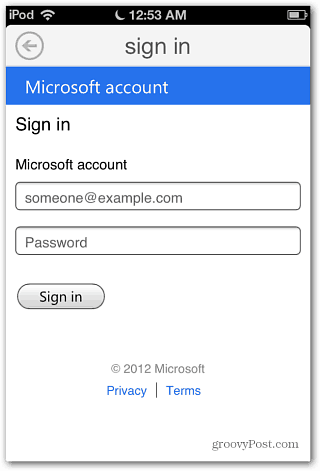 Then type in your Microsoft account credentials. Remember to use the ID associated with your Xbox account. Then give a couple of second to connect. 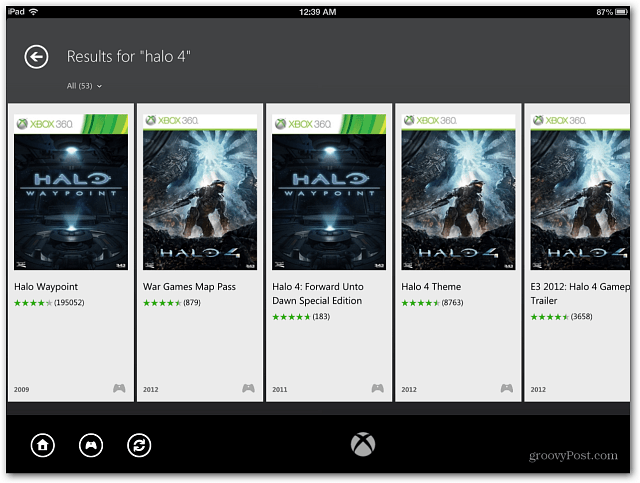 Now you can use it to navigate your Xbox 360 apps, control music and video playback, search the Xbox Catalog and more. 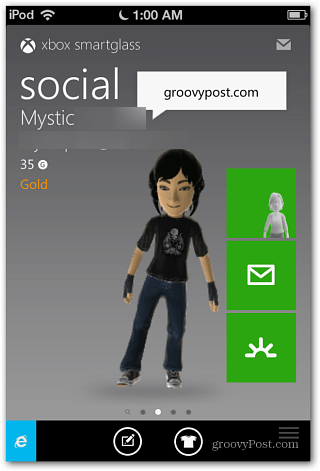 It also has the same features as it’s younger brother — the My Xbox Live app. So you can do things like track and compare game achievements, change your avatar, edit your profile and message Xbox friends. One of my favorite features is the the full keyboard. 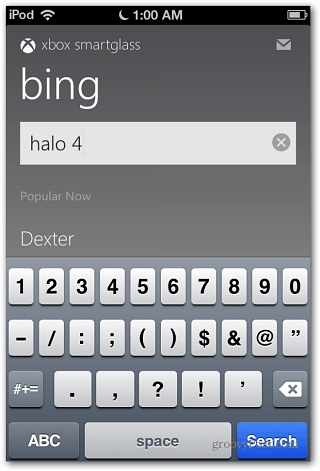 This makes it easier to log into services, search Bing and browse Internet Explorer versus using a controller. Future development promises additional screen to screen interaction in games and other media. It’s not perfect yet, but it’s a good start and the future looks promising. 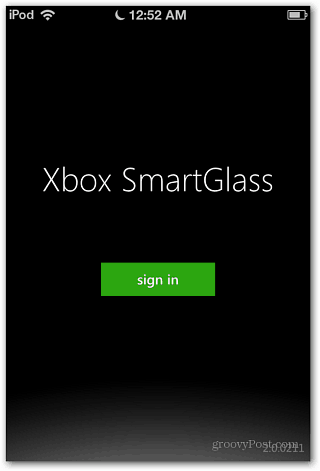 Download the Xbox SmartGlass app for your Android or iOS device.